How long it takes for Kratom Tea to React? Tea is one of the most favorite beverages of the people living in this world. A cup of tea in the morning energizes the body like never before, rejuvenating the senses for an active day. Hence, people have resorted to different types of teas for experiencing the beneficial effects in an enjoyable way. When we talk about energizing properties, it is obvious that a special herb like Kratom peeps in due to its growing popularity in the West. Kratom has always been used for its qualities to improve mood, increase motivation levels and it even provides relief from anxiety and stress. This herb that is rich in alkaloids is consumed in different ways as preferred by the user. Kratom is available in different forms in the market for customer satisfaction. However, the most favorite way to consume Kratom for most users is by brewing it with teas. It wouldn’t be an exaggerated statement if I have to say that Kratom tea is the new replacement for black tea and coffee. This is due to the fact that many people are unaware of. Both Kratom and Coffee come from the same family called Rubiaceae. This property makes it more stimulating, compelling and energizing among the hot beverages. The dark green leaves of Kratom also impart a bitter taste to the tea, while working as a potent stimulant. This effect of Kratom was well understood by the natives even centuries ago and it has been in use for pain relief, diarrhea and as a recreational tool. Kratom was used naturally in the past where natives used to chew on the leaves to experience the effects of Kratom. However, with time, the Kratom leaves were harvested and then processed to be dried, crushed and powdered. This is what we call the Kratom powder. With the huge demand for Kratom and a large number of sellers entering the market, Kratom manufacturers started producing different forms of Kratom products. The most popular ones right now are powder, capsules, gums, extracts, resins, and tinctures. There are different ways to ingest Kratom. The bitter taste of raw Kratom pushes people to find various other ways for consumption so that they get rid of the bitter taste. For example, the capsule form was brought in to ease the discomfort of having to ingest bitter Kratom. But some users mix Kratom with teas, juice, smoothies, milkshakes and even ice creams. Most users, in order to save time, just toss the powder into their mouth and wash it off with water immediately. You can even prepare your own food recipe with Kratom. Kratom tea is a pleasurable drink that will not take much of your time for preparation. It is often misinterpreted that Kratom tea takes a lot of time and hence, people either go for the raw powder or capsules. However, the process of making Kratom tea is simple. All you need are Kratom leaves or powder, water, and a stove. In case you wish to use leaves, you can use a strainer to separate the leaves from the concentration. You might ask what well can it bring if it’s boiled. On elevating the temperatures, the leaves tend to release beneficial alkaloids into the concentration that is very much useful for body wellness. For every 500ml of mild Kratom tea, Kratom composition is said to be 10g. However, you can either increase or decrease it based on your preference. Also, the Kratom products and supplements are a bit expensive in the market. Owing to this fact, you can make your own Kratom powder at home. You will have to buy the leaves and store it for days until they become hardened and dried. Dried leaves give way for fine powder and hence, you can use a grinder or a blender to crush those dried leaves into Kratom powder. Grind it to obtain a smooth texture. If you don’t have budget constraints, then you can very well go for the Kratom powder, available in markets. You will have to be very specific about the dosage you tend to add for preparing your Kratom tea. In every teaspoon, two grams of Kratom is said to be present. Hence, you will have to use a weighing scale or an accurate machine to come up with the right dosage of Kratom. 1 to 3 grams is always an accepted range, given the type of effect you wish to experience. 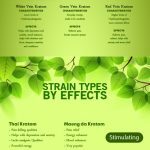 When do the effects of Kratom tea kick in? Kratom tea usually takes considerable time than the powder for its effects to start working. Comparatively, the powder tends to kick in fast since it gets mixed with the bloodstream immediately. But the Kratom tea usually takes 30 to 45 minutes for the effects to start working. The main reason behind this can be explained. Kratom usually starts working faster when it is swallowed or chewed. This is because the alkaloids are present in the leaves and the absorption takes place immediately as soon as the leaves are chewed. But it is not the same case with Kratom tea. The tea is sipped slowly and hence the absorption time is doubled and it usually takes 45 minutes for the action to commence. A typical Kratom strain’s effects might last up to 6 hours. However, for Kratom tea, the effects might last only around 2 to 3 hours. It also depends on the strains. Some strains are potent enough and they might be durable to last for a long time. But some strains aren’t that powerful and hence the effects might fade away in a short time. The effects completely depend on the specific strain you choose. There are certain tips to make those effects last longer with Kratom tea. Brew the tea for a long time. Avoid having heavy meals before consuming Kratom tea. Keep in mind that Kratom tea has been in practice over a century. Hence, it is known to induce certain effects related to pain relief, energy, stimulation, sedation, and euphoria. Effects like Euphoria can be achieved only with high doses. Apart from this, you will be able to experience mood improvement, positive energy, concentration, and focus. There are no significant risks associated with Kratom tea. However, it is best if pregnant women and people on certain other prescriptions avoid the consumption of Kratom tea. But in some cases, you might experience vomiting, nausea, dizziness and an upset stomach. Most people prefer Kratom tea just because of the fact that it is pleasurable as a drink and influences brain activity at the same time. It works well for students and professionals who will have to focus and concentrate on certain things for a long time. It is better as a herbal alternative to the normal tea. If Kratom tea tastes bad, you can add honey, cream or other agents that can make your tea all the more delicious. High doses on a daily basis can create a level of tolerance. But the bitter taste of Kratom forces users to use only moderate doses and less risk factor makes it a proficient and a supportive choice for users to enjoy a pleasurable drink. Previous Post Kratom Soap – A New Natural Trend in 2019 Next Post 3 Things that FDA does not want the people to know about!